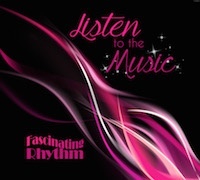 Fascinating Rhythm – Listen to the Music – our new CD! Listen to the Music – our new CD! Posted 17.12.2014 by Fascinating Rhythm & filed under Uncategorized. We’re delighted to announce the launch of our new CD, Listen to the Music. Featuring the Fascinating Rhythm Chorus, plus our girls’ chorus Junior FR and our in-house octet RhythMmix, the CD is a collection of our favourite close harmony songs and ballads. Click here to contact us and bag your copy! Priced at just £12.50 including P&P to UK addresses.